ST. GEORGE – Confidence is a funny thing. In order to have it, you need to earn it. In order to earn it, you need to have it. 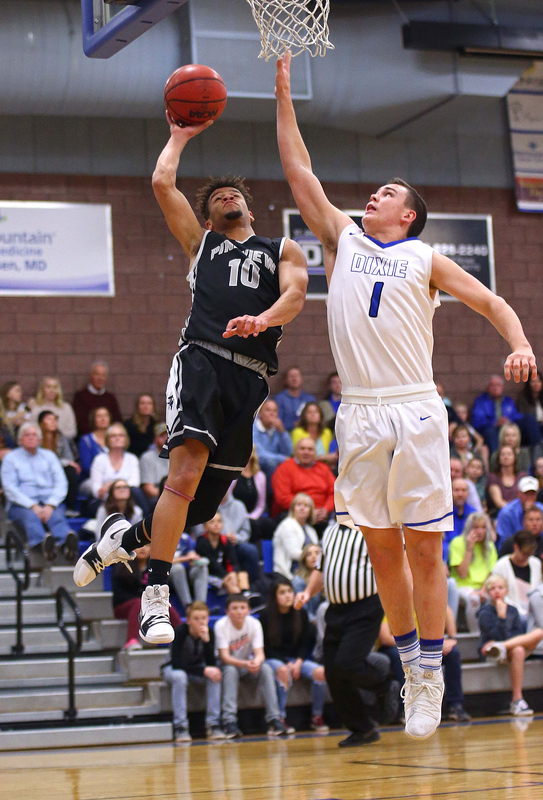 But confidence was instrumental in the three games Wednesday night in Region 9 boys basketball. 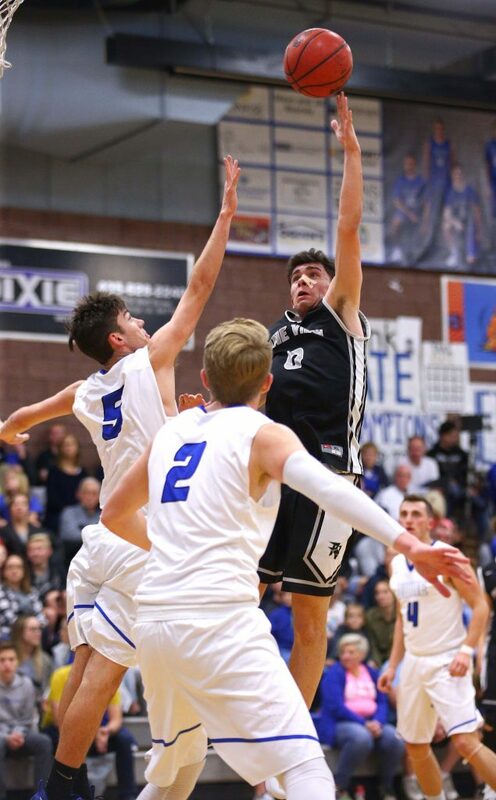 For the Dixie Flyers, who are oozing with confidence, a 15-point first half was just a small bump on the highway to a huge win at home against Pine View. 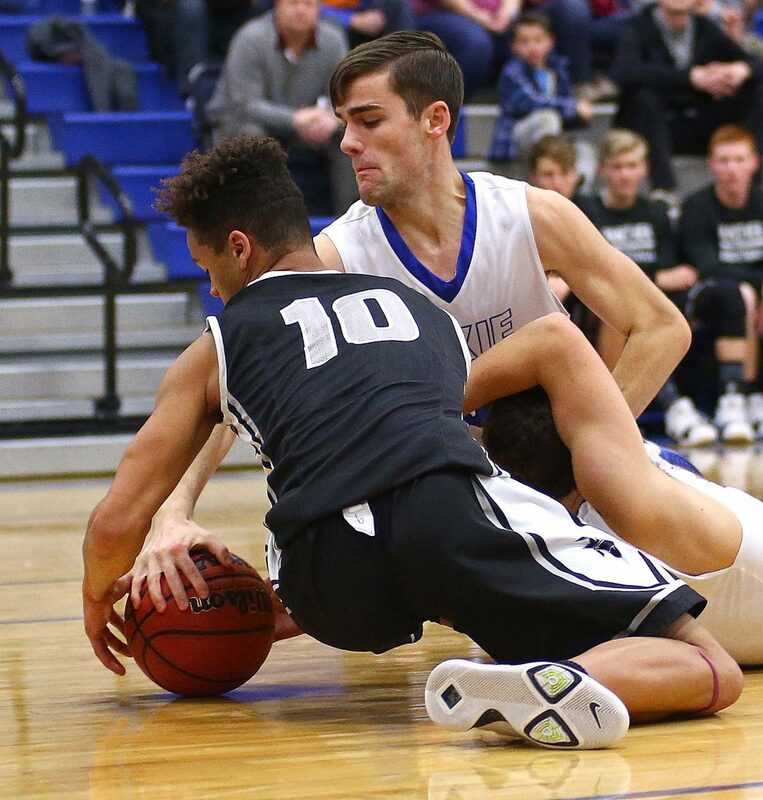 For Desert Hills, which sits alone in second place in the region, confidence showed in a monstrous third-quarter run that changed the game against Snow Canyon. 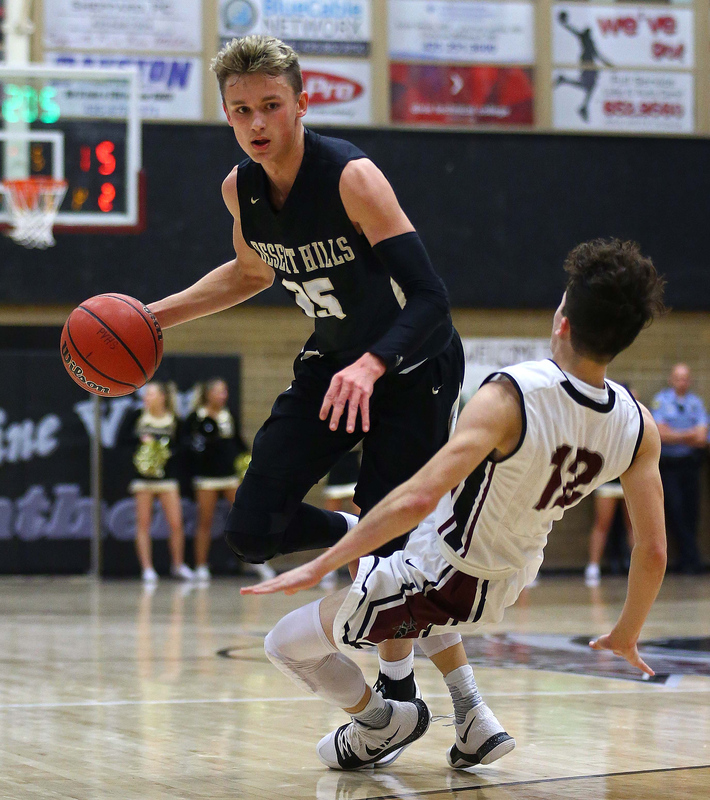 And Canyon View, which has won five straight region games after starting 0-3, took its confidence from the recent win streak and a desire for revenge against cross-town rival Cedar. The bad news for the Flyers was they managed just five points in the second quarter and 15 in the entire first half. The good news: Dixie only allowed three points in the first quarter and was tied at 15-15 at halftime with the Panthers. 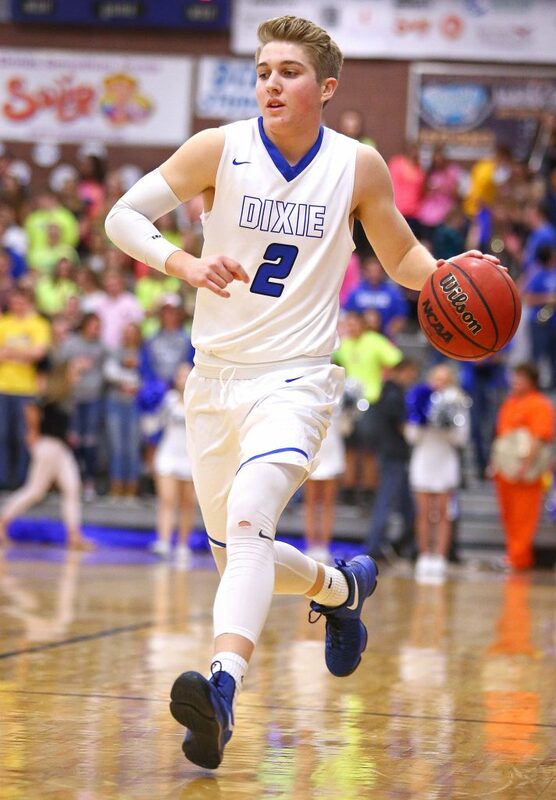 Boy did they as Dixie posted up 22 points in the third quarter and held the Panthers to just 12 points in the entire second half. 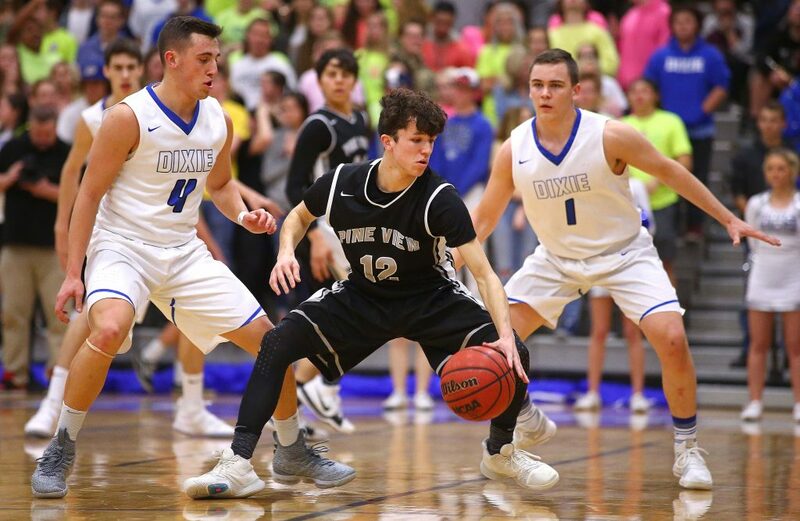 Pine View actually held a 20-17 lead a minute into the second half after a basket by Jack O’Donnell and a 3-pointer by Hunter Moore. But Dixie clamped down after that, going on an 11-0 run. 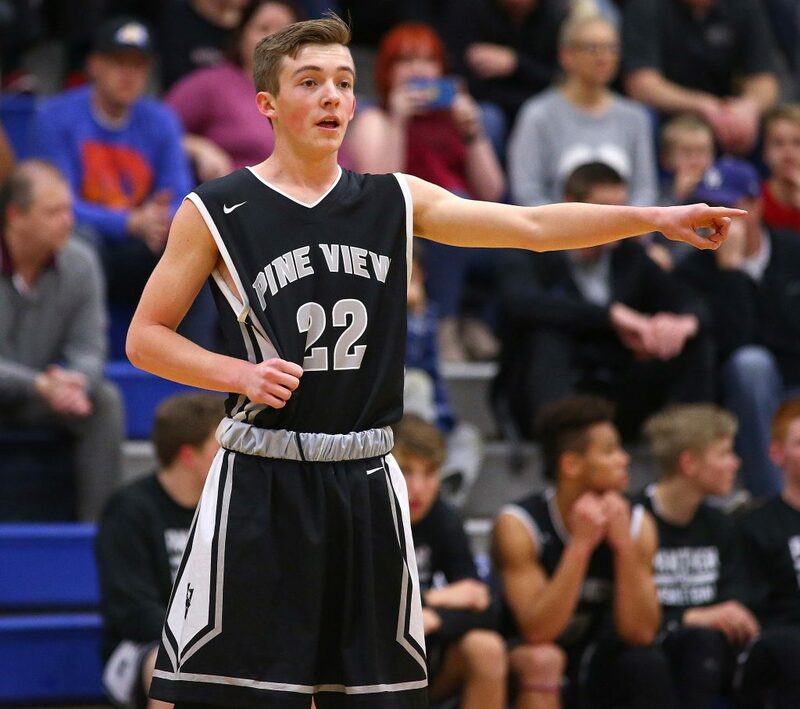 Carson Bottema started the run with a couple of baskets inside and the dry stretch for Pine View lasted more than five minutes. Moore had a 2 and a 3 to cut the deficit to 30-25 late in the third, but the Flyers finished the period with a 9-0 flourish to put the lead at 39-25 heading into the fourth period. The Panthers managed just a single field goal by Michael Moten at the four-minute mark for the entire fourth period. Bottema led the way for the Flyers with 18 points and center Derek Cox had 10. 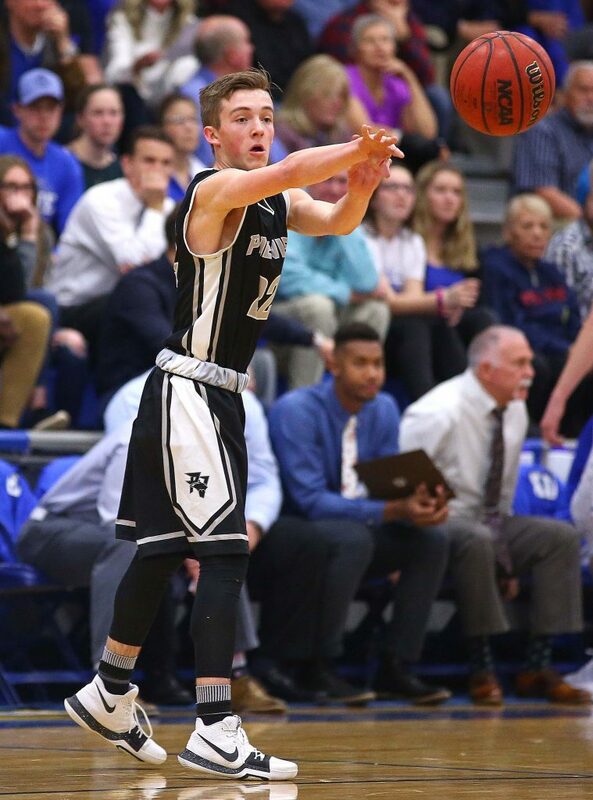 Tanner Cuff had nine points and a handful of assists. 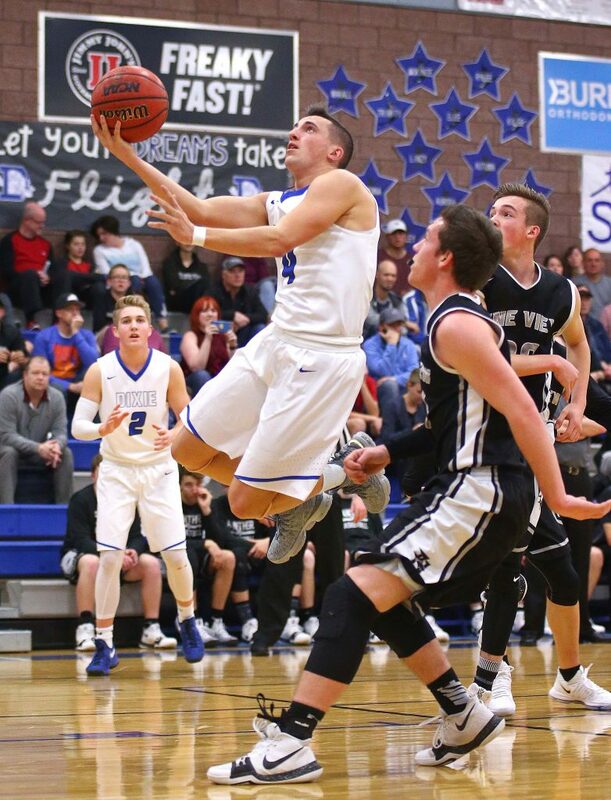 Dixie made 21 of 41 field goals in the game (51 percent), and again proved the 3-pointer is not necessary for a winning basketball team. Dixie was 0 for 7 from deep. O’Donnell led PV with 11 points and Moore added nine. But it was a miserable shooting night for the visiting Panthers. 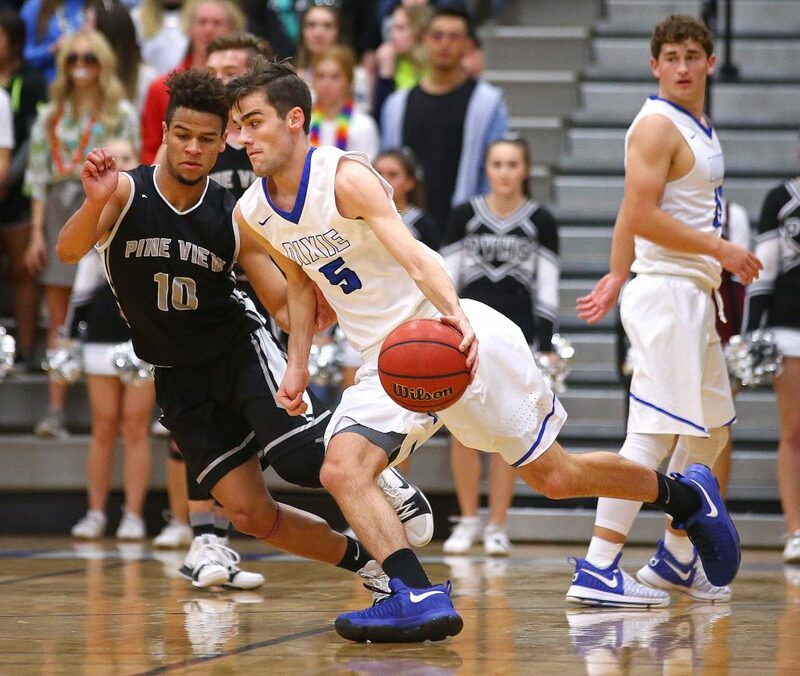 Pine View made just 10 of 34 shots (29 percent) and 4 for 22 on treys (18 percent). PV also hit just 3 of 8 free throws. The Flyers improve to 15-3 overall and 7-0 in region play. Those gaudy numbers will be tested Friday night as Dixie visits Canyon View, winners of five straight. The Flyers beat the Falcons 57-53 back on Jan. 10 at DHS. 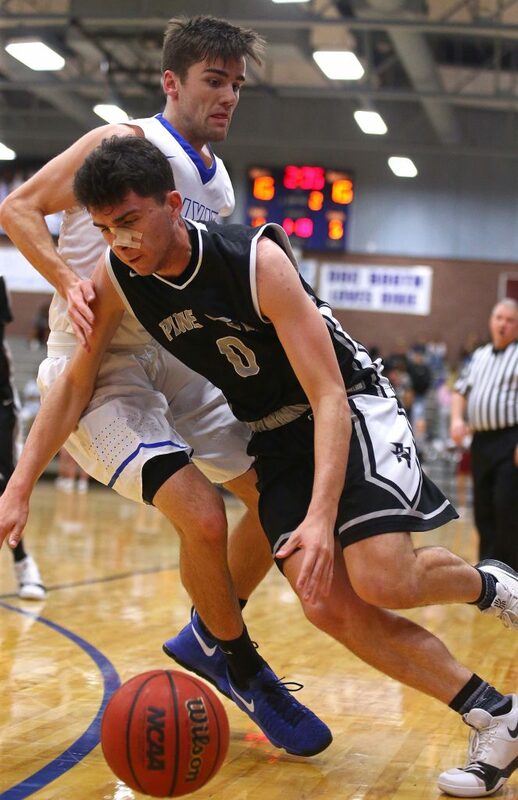 Pine View falls to 2-6 in region and 6-11 overall. 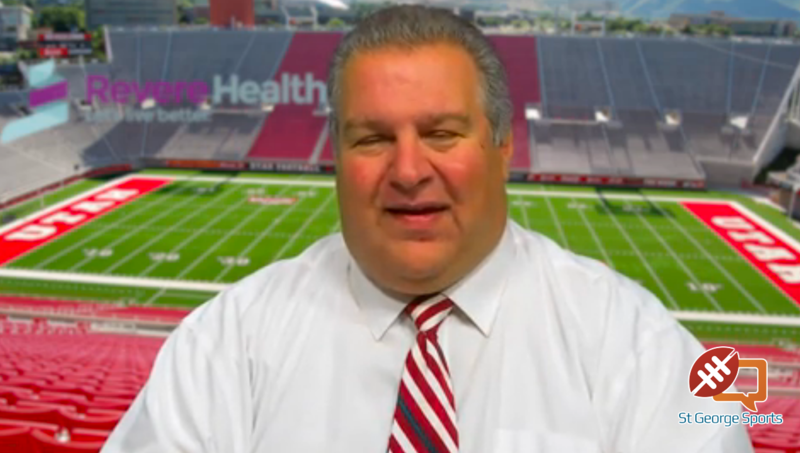 The Panthers host Hurricane Friday. 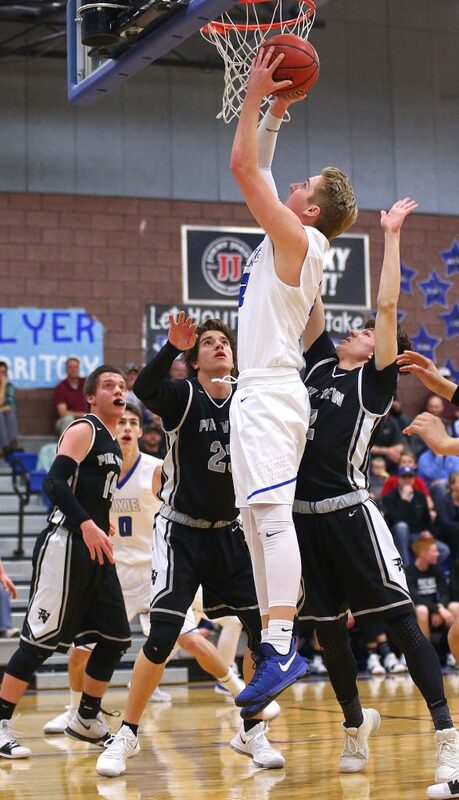 The Tigers beat PV 55-53 in double overtime three weeks ago in the now infamous stall game. 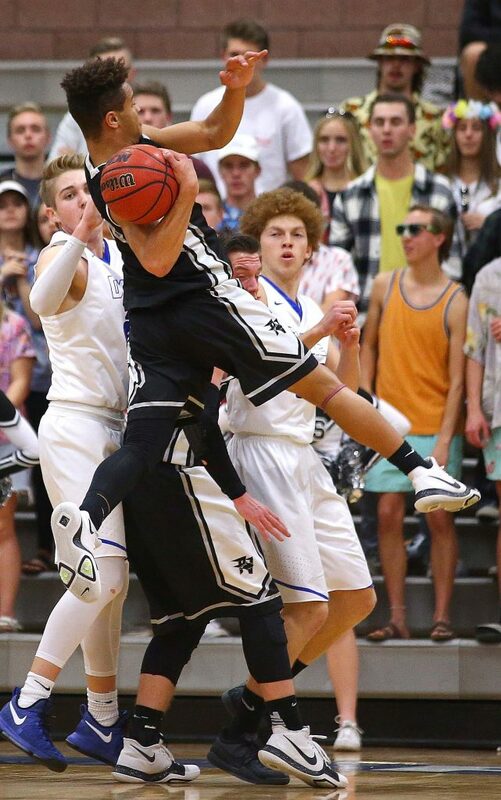 Sometimes, Snow Canyon looks like the best team in Region 9. During a six-minute stretch of the second quarter against the Thunder, the Warriors went on a 12-0 run and went into the locker room with a seven-point halftime lead. 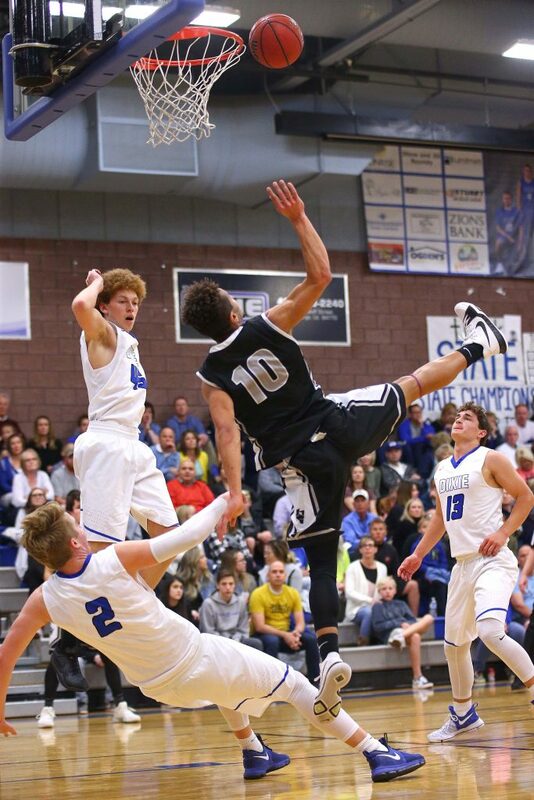 But then the well went dry for SC and Desert Hills started to hit shots. And that was all she wrote, so to speak. The defending region champ Desert Hills team wasted little time after halftime in getting things going. Trevin Lindstrom hit a 3-pointer 10 seconds into the third quarter to cut it to 29-25. Tucker Peterson followed with a jumper to make it 29-27 less than a minute later. Bryson Childs stopped the bleeding momentarily with a post basket off the glass. But D-Hills countered with an inside bucket by Ryan Marz at the 6:25 mark to make it 31-29. Neither team scored for nearly two minutes after the Marz basket, but when the lid finally came off, it was with another Lindstrom 3-pointer that gave the Thunder a 32-31 lead. D-Hills scored five more unanswered points to complete the impressive 15-2 run and take a 37-31 lead with 3:04 left in the third quarter. Snow Canyon hung in the game and trailed just 48-42 with 5:58 left to play. But the Warriors again struggled at the free throw line in the fourth quarter. 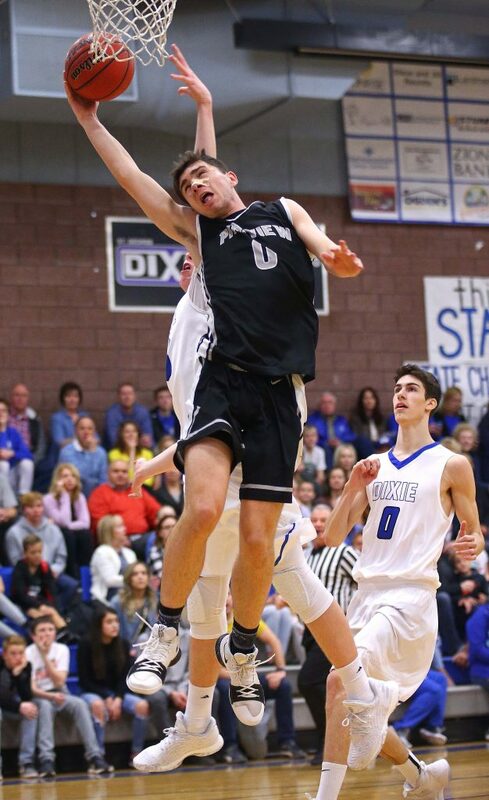 Over the next three minutes of game play, Snow Canyon would miss seven out of eight free throws (including the front end of a one-and-one) and watch helplessly as the Thunder extended the lead out to 60-45. Tyler Marz had one of his best games of the season, especially the fourth quarter. As DH was extending its lead late, he accounted for eight fourth quarter points, including a monster jam on a backdoor cut with 35 seconds left. Ryan Marz led the Thunder with 16 points and eight rebounds. Tyler Marz had 15 points and seven boards, while Lindstrom chipped in 11 points and Trey Allred dished out six assists. 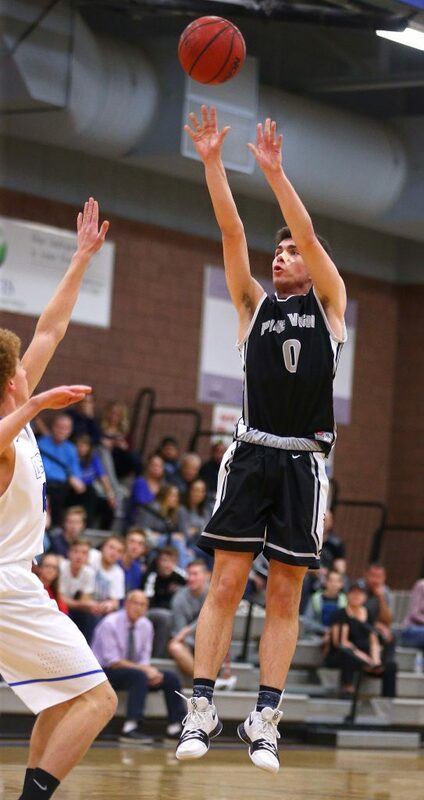 For Snow Canyon, Braden Baker finished with 12 points and Childs had 11. But the Warriors were outscored 41-18 in the second half and finished just 14 for 26 from the free throw line (54 percent). 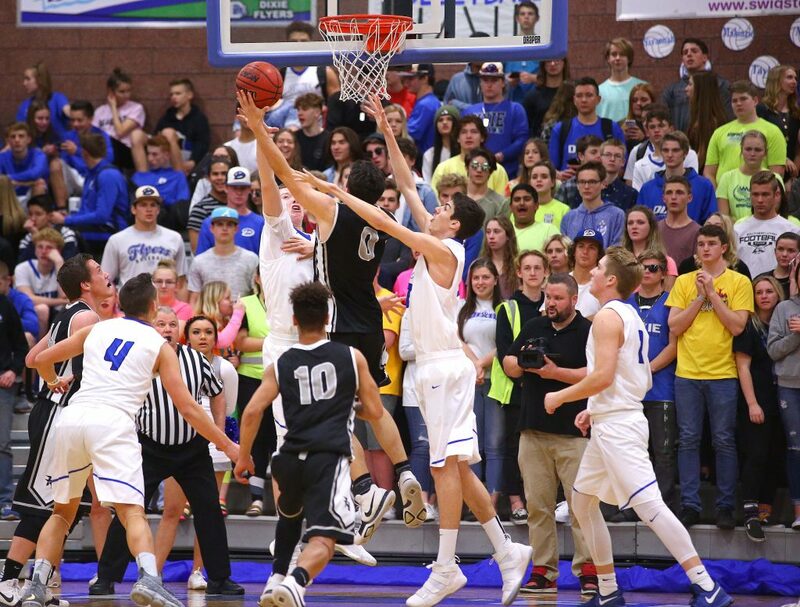 The Thunder, 13-5 overall and 6-2 in region play, have a bye Friday night and are in action next Wednesday with a home game against Pine View. 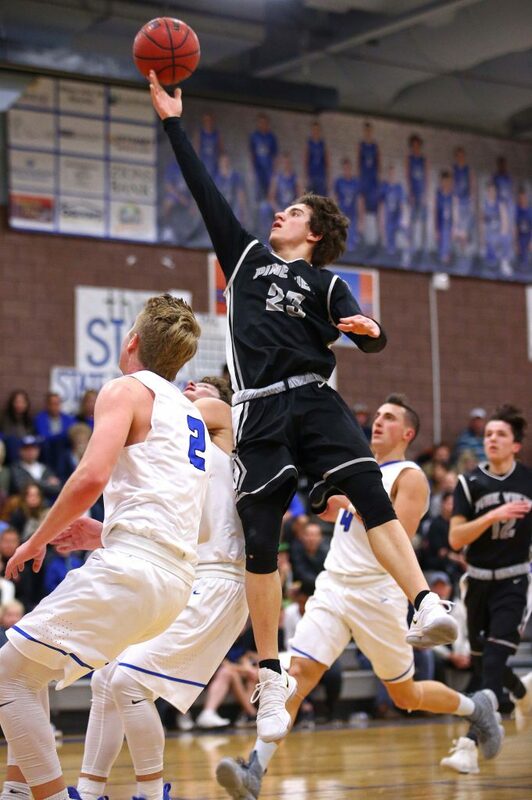 Snow Canyon, 6-12 and 2-6, is at Cedar Friday night. To say the Falcons were looking forward to this rematch with rival Cedar is a bit of an understatement. In that first meeting, the Falcons scored just one point in the first quarter en route to a disappointing 46-44 loss to the Redmen. Lambeth, the senior guard who was held to nine points in the first meeting, finished the night with 22 points on 8 of 14 shooting. He also made 5 of 6 free throws and the Falcons were 15 for 20 in the game (75 percent). Canyon View never trailed in the game and jumped out to an 8-2 lead early on. By halftime, it was a 27-15 advantage. 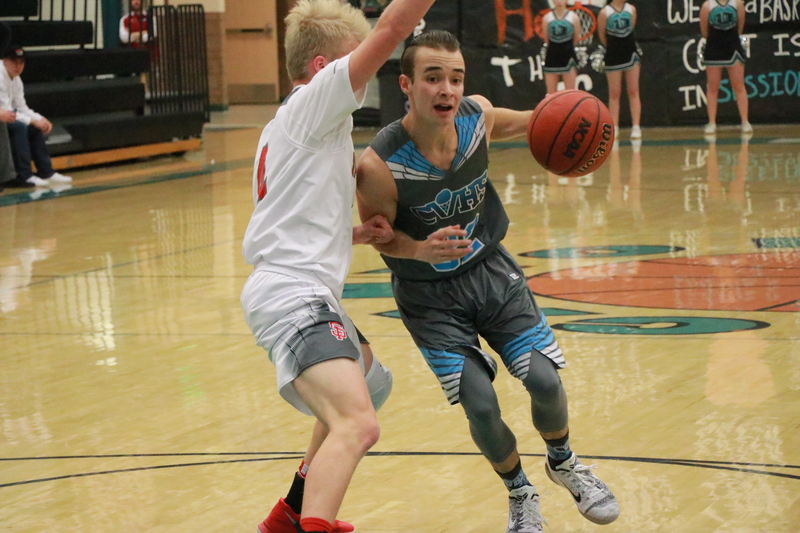 But the fourth was all Canyon View as the Falcons outscored the Redmen 19-11 in the final eight minutes to cruise to the win. The smaller Falcons outrebounded Cedar 26-14 and CV was 18 for 37 from the floor (48.6 percent). Brantzen Blackner had a quiet scoring night with seven points, but also had 11 rebounds and a couple of steals. Holmes was second on the team in scoring with 13 points. 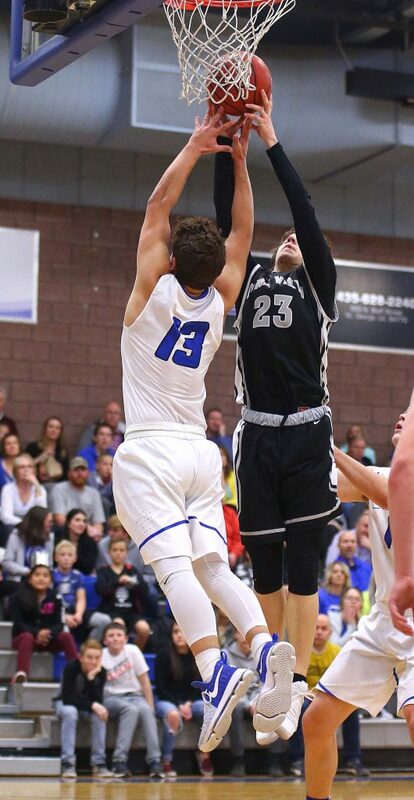 Grant led Cedar with 14 points, but no other player scored more than seven. 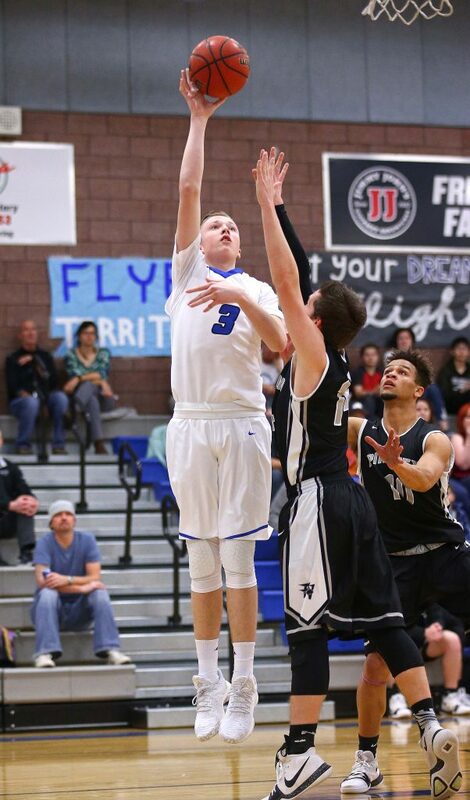 Star shooting guard Ethan Boettcher struggled from outside, making just one 3-pointer on 10 attempts. Canyon View, which improved to 10-10 overall and 5-3 in region, is now in third place, a half-game ahead of Hurricane. The Falcons host unbeaten Dixie Friday night. 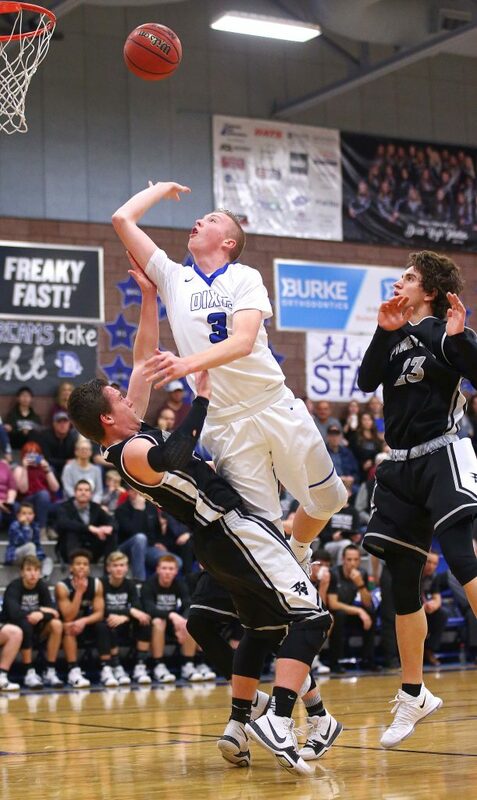 Cedar, 8-11 and 1-7, will play host to Snow Canyon Friday night.